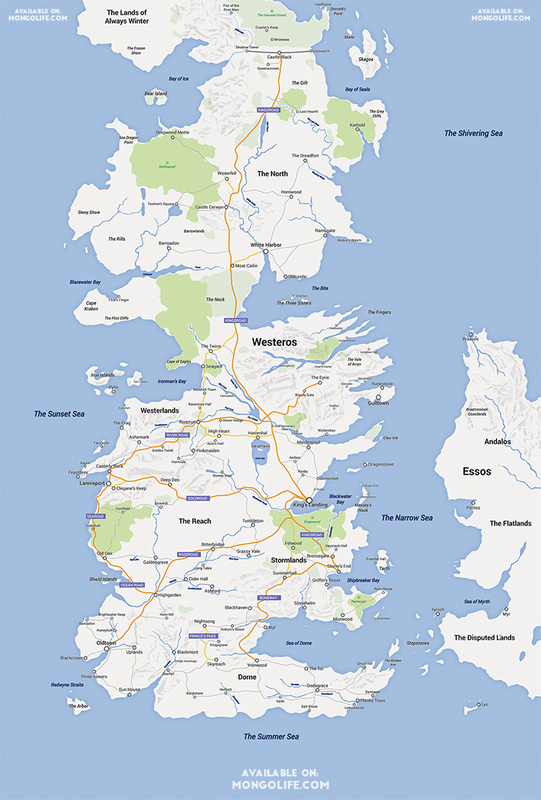 As any Game of Thrones fan knows, sometimes it's hard keeping track of all the lands in Westeros. While we've seen other folks tackle the daunting task of mapping out the Seven Kingdoms, one fan has made one that is familiar and easy to understand: in the style of Google Maps. While you can't actually navigate the map since it's really a graphic design for a poster on sale on Etsy, the details are great. You can follow along the yellow-colored Kingsroad from the North all the way to King's Landing. On the Esty page, it says the map has "lots of details with almost every little town, castle and stronghold marked as well as mountains, forests and roads." Reddit user selvag posted his map to Reddit this week. One Redditor joked in the comments section, "Unable to calculate route from Meereen to King's Landing." Indeed the map cuts off on the eastern part of Essos where Meereen would be located, but selvag has some witty advice for that: "Jet ski across the Narrow Sea." You can check out a larger version of the map here, and buy it on Esty for $21 here.